A review of Playwrights on the Threshold Between Stage and Study: Paratexts and Polemical Texts in Seventeenth-Century French Theater, by Jessica Kamin. Written in an accessible, clear, and concise style, Jessica Kamin’s dissertation on 17th-century French theater, Playwrights on the Threshold Between Stage and Study, reexamines the relationship between playwright and audience by focusing on two different places of reception and aesthetic evaluation : the “stage” and the “page.” These two places serve as focal points for Kamin’s investigation of various polarities—including performance and print, actors and authors, and seeing and reading—that structured the way that early modern playwrights and audiences evaluated dramatic works. The stage/page pair thus articulates a major dichotomy in the history of dramatic aesthetics: the play as performance and the play as text. Aristotle famously remarked that tragedy does not need actors to elicit an emotional response (from the reader) and that stage machinery may indeed produce a powerful effect on the spectator but that it lies beyond the poet’s purview. In this way, Aristotle may have sucked the “life” from theater, to borrow an image from Florence Dupont’s Aristote, vampire du théâtre occidental (Paris: Aubier, 2007), but he also laid the groundwork for dramatic texts that last well beyond their initial performance, without which the play (at least before the advent of audiovisual recording) would be irrevocably lost. Additionally, the stage and the page indicate two different experiences: one live, social, and ephemeral, and the other recorded (so to speak), solitary, and lasting. This difference calls to mind performance theorist Peggy Phelan’s assertion that performance exists only in the present and Philip Auslander’s critique of Phelan’s emphasis on the “liveness” of performance. The tension between stage and page in defining what constitutes a piece of theater continues to inform critical discussions of drama. Yet if the claim that theater is both performance and text comes to us as no surprise, Kamin, following the work of Christian Biet and Georges Forestier, notes that 17th-century French plays followed a “two-step” trajectory: first as performance and then as text, a trajectory that is more often than not reversed today (pp. 2–3). The different experiences marked by theater on stage and theater on the page in turn led to two different receptions, only one of which could be considered valid in the 17th century. Kamin shows how the “readerly” approach (p. 26) to theater, which elevated the page over the stage, would emerge from the Cid controversy as the increasingly dominant mode of reception. Kamin’s investigation is chronological. She begins with the Cid controversy, in which Corneille and his supporters appealed to the play’s success as performance as a means to authenticate or legitimize the text against critics who raised “readerly” objections. Turning next toward Molière, she examines the ways in which the playwright-performer took control of critical reception both by playing with prefatory conventions and by shifting the place of aesthetic debate from the study to the stage (e.g., in the Impromptu de Versailles). In the final chapter, Kamin focuses on Racine’s paratexts, especially his revised versions, to demonstrate that, in light of increased concern for the posterity of one’s literary works, Racine sought to secure the literary fortune of his plays rather than respond directly to critics. The dissertation’s three chapters are preceded by an introduction in which Kamin explains the scope of her corpus—a bewildering 200+ prefaces, dedicatory letters, and other paratextual material—and her methodology. By focusing on paratexts, which, as Gérard Genette notes in Seuils (Paris: Seuil, 1987), condition the reception of a work, Kamin approaches her corpus with a clear theoretical framework. In addition, she is attentive to methodological difficulties, such as the paucity of evidence concerning the different publics of 17th-century plays. Rather than focus narrowly on social class, Kamin, following the work of Hélène Merlin-Kajman, Christian Jouhaud, and Alain Viala, divides “the public” into two broad, distinct, but often overlapping categories: spectators and readers (pp. 18–19). This both captures the heterogeneous reality of “the public” in early modern France and allows Kamin to shift our attention toward the ways in which paratexts engage their audience as readers, spectators, or both. The dissertation’s succinct conclusion gestures toward further research, including the fascinating role that the nascent but increasingly popular opera played during the latter third of the 17th century. Altogether, the three chapters, introduction, and conclusion show what Kamin names an “under-appreciated theme” of the Cid controversy, namely, the elevation of “readerly” reception in the evaluation of theater. The first chapter addresses the controversy surrounding Corneille’s Cid. Kamin argues that the controversy galvanized playwrights who, in their prefaces, insisted upon the literary or textual merits of their plays independent of the spectacle’s success or failure. Crucial to Kamin’s analysis is Corneille’s break with prefatory conventions, chief among them civility. Playwrights had routinely “engaged with the reader’s sense of courtesy” and “hospitality” by personifying their plays (pp. 35–37) in prefaces and dedicatory letters. Here, Kamin’s analysis suggests an ethics of reading and reception, in which a text’s readers are asked to treat it as courteously as they would a human being. This is a refreshing take on the Cid controversy. While many scholars have pointed out Corneille’s pride as a factor in the controversy, Kamin instead focuses on the position of the reader in Corneille’s letter to Mme Combalet and his Excuse à Ariste, noting that the reader appears no longer as a host whom the writer must supplicate before introducing his text, but as a passive witness to the play’s established glory. A play that was successful on the stage had little need for a reader’s approval. Corneille’s critics, Scudéry foremost among them, sought in turn to reassert the reader’s position as judge (and the page as the site of judgment). The verdict issued the following year by the Académie Française instituted a kind of compromise: the stage and the page were separate, but not equal, places of judgment (pp. 66–67). The spectator may give initial approbation or “premier suffrage,” but the play’s ultimate fate lies with reader. As a consequence of the controversy, playwrights, anticipating “readerly” critics, increasingly demonstrated the literary merits of their work in prefaces, dedicatory letters, and other paratexts. This dynamic shifts somewhat with Molière, the subject of Kamin’s second chapter, who wrested the power to judge from the reader’s hands and placed it back into the spectator’s eyes. In the aftermath of the Cid, playwrights used their prefaces to explain their poetic decisions, weigh in on theoretical debates, and preemptively respond to critics real or imagined. Accordingly, these prefaces come across as bookish and untheatrical. “Entering the cabinet,” Kamin writes, “conventionally means leaving the realm of the théâtre” (p. 80). While this generally describes the stage/page pair, one wonders whether this is always the case, especially if one reads the tantalizing pages on stage directions in Corneille’s Trois discours, where the playwright argues that “tout ce que le Théâtre présente à la vue des Spectateurs” must be also be present “à l’imagination du Lecteur.” It seems that, for Corneille, reading a play is different from reading, say, a novel, in that the reader imagines the events unfolding as taking place on stage. This criticism does not, however, detract from Kamin’s powerful analysis of Molière’s desire to “theatricalize” (p. 75) the preface by making it a locus of performance. Molière abandoned the conventional preface in favor of a more playful, witty, theatricalized text that was itself as much an object of aesthetic “pleasure” (p. 76) as of critical intervention. As for critical discourse, Molière shifted the place of the debate from the page to the stage, as the quarrel of the Ecole des femmes makes abundantly clear. Kamin notes that the controversy inverted the hierarchy (reader > spectator) established in the wake of the Cid controversy. Again, the question of ethics that appeared in the section of civility returns when Kamin discusses Molière’s performed critical interventions (e.g., the Impromptu de Versailles) as an instance of “humanized” academic discourse (p. 106). For Kamin, humanization means the performance of multiple perspectives and the elevation of spectator response (rather than academic knowledge) as the sole criterion for judgment. Humanization, though, could also be linked to the personification that Kamin analyzes in the first chapter. Doesn’t personification and the concomitant request that readers treat plays hospitably encourage an affective, rather than cerebral, response? If so, then perhaps shifting the debate from the page to the stage has ethical as well as aesthetic implications. Fittingly, this chapter ends with a brief analysis of Molière’s final play, Le malade imaginaire. Here, the “theatricalized” preface reaches its apogee, as Molière himself pronounced a kind of prologue before the play, blurring the boundaries between preface and performance. In all, Playwrights on the Threshold Between Stage and Study presents a compelling history of the development of the 17th-century theatergoing public by examining dramatic paratexts intended to respond to or shape public response. Composed of both spectators and readers, the uninitiated and the erudite, the public’s evaluation of plays was uneven and often at odds. Is the “real” play the performance? Or is it the text? Similarly, does the moment of judgment take place on stage, before the multiple eyes of the crowd? Or in the study, beneath the penetrating gaze of a solitary critic? This tension came to the fore during the Cid controversy before the Académie Française issued a compromise: the crowd’s judgment is a necessary first step, a “premier suffrage,” but the critic’s judgment prevails. By wittily toying with prefatory conventions and shifting the space of the debate from the page to the stage, Molière sought to reinstate the spectator as judge. Racine places the ideal judge between the two positions by combining knowledge and taste, erudition and sensitivity. One is left with a more complete picture of the relationship between stage and study in early modern France. But that is not all. This dissertation gestures toward broader questions in literary studies. The fascinating reading of prefaces in light of civility and politeness, combined with the claims that Molière “humanized” academic discourse and that Racine’s prefaces fulfilled a pedagogical mission, calls to mind the place of ethics in the humanities, including the question of “ethical reading,” or to what extent reading, particularly the kind of close, interpretive reading done in the humanities, is an ethical project. Additionally, the focus on the stage and the page as two places of reception resonates strongly with work in performance studies on the “liveness” of performance. In sum, this is a rich and multifarious account of the reception of the early modern poème dramatique as both performance and text. Corneille, Pierre. Trois discours sur le poème dramatique (Paris: GF Flammarion, 1999). University of Washington. 2012. 227 pp. Primary Advisor: Geoffrey Turnovsky. 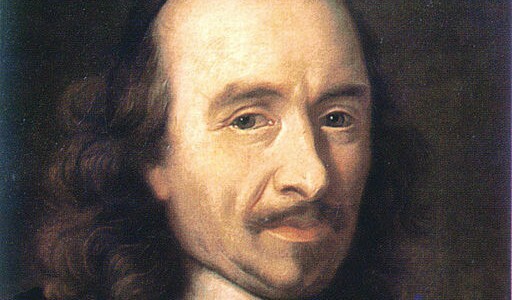 Image: Pierre Corneille, by Anonymous (ca. 17th century). From Wikimedia Commons.